A contemporary crystal award with a truly global appeal. 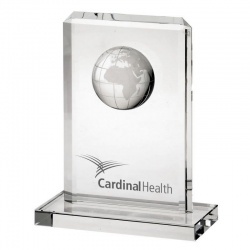 These awards feature a finely detailed globe set in a flat frame with bevelled edges. 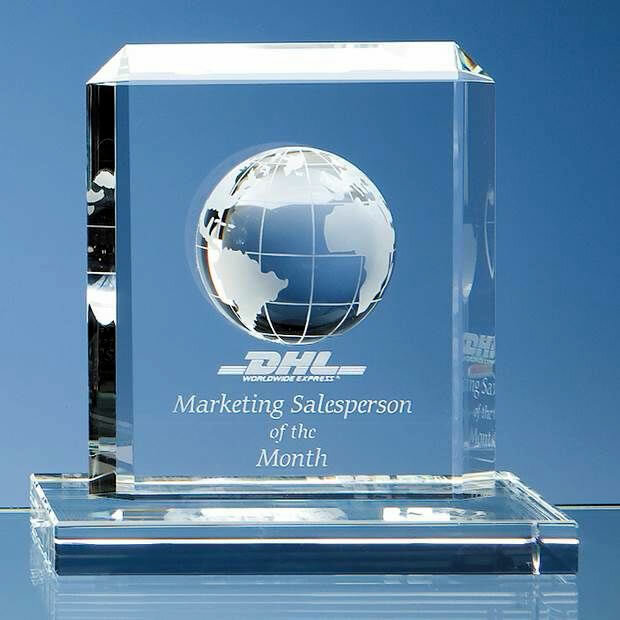 Stands 6in tall and supplied complete with stylish presentation case. 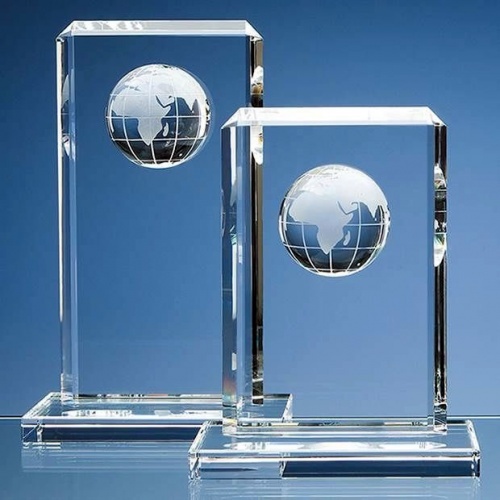 7.5in Clear Crystal Globe set in Flat Frame on Base. 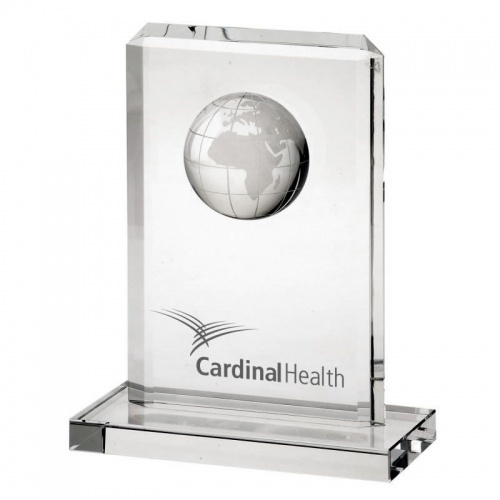 9.5in Clear Crystal Globe set in Flat Frame on Base.